After losing her brother-in-law in a fire, Avery Sanders makes a vow to never put her heart on the line for a man with a dangerous career. And then Liam Reed walks into her life and everything is suddenly beautiful in ways she’d never imagined. When Liam meets Avery at the youth center where he volunteers, the attraction is instant. But then he learns that she won’t date guys with a dangerous profession. So he keeps his career as a cop secret until the time is right. When Avery discovers what he’s been hiding, will she trust God with their future? Or will she let it all slip away when tragedy strikes? …about praying for Natalie’s heart. On a journey where the skies aren’t always blue, graffiti isn't always illegal, and bathroom breaks aren't always a good idea, their lives collide. 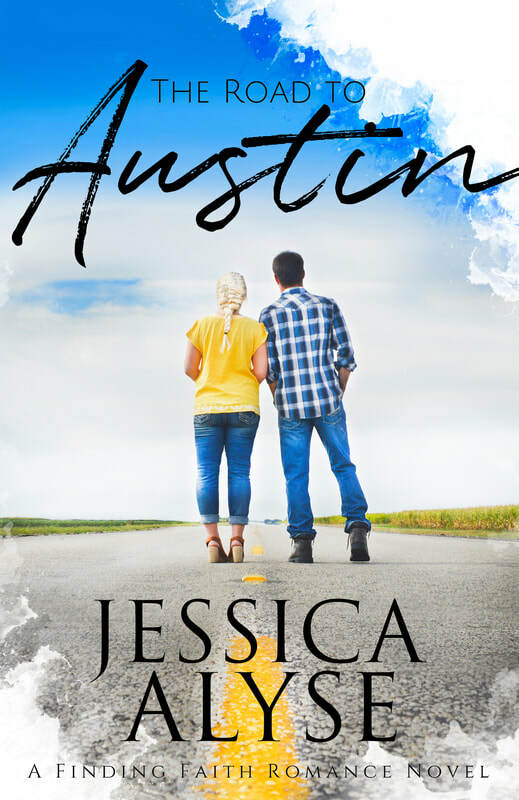 When secrets of her brother's death, Austin's past, and Natalie's family come to light, they'll learn there is more to life and love on the road to Austin. Now Available in paperback and ebook on Amazon.com! Facebook and leave me a message. Don't forget to hit follow!